Can you believe that 2014 will be here in three days?!?! I feel like 2013 went by so fast, especially with everything that has been going on in my life. I’ll save that stuff for another post this is all about my personal style and hair! 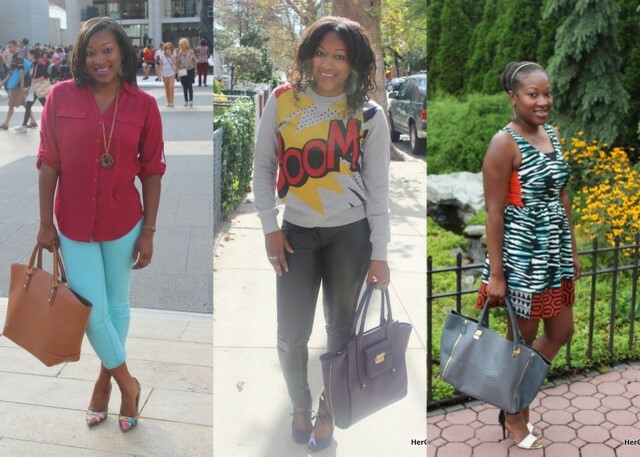 So here are my top fashion looks from 2013. I realized that I post more of my outfits on Instagram than I do here on the blog so follow me on Instagram (@HerGoodyBag) for more of my personal style looks! 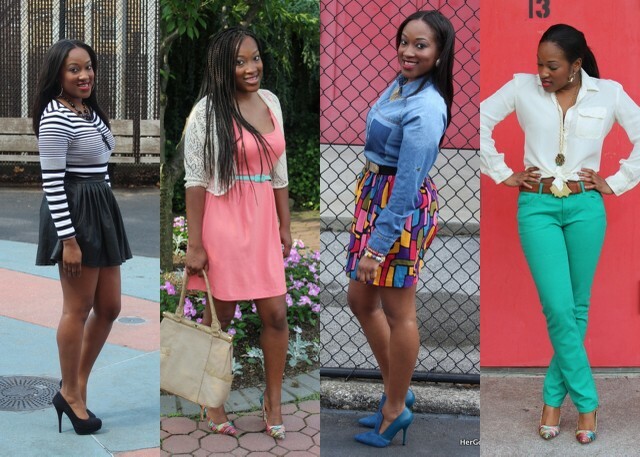 From these collages you can tell that I like heels, bright colors, prints, and red lips. I tried to be more feminine and lady like in 2013 and I think I accomplished that. I wore a lot more dresses and skirts and I took risks with bold patterns in my shoes, skirts, and tops. I tried to “push the envelope” with how I put looks together. This may be safe for some people but I know the image I want to portray through my clothes and I accomplished that. 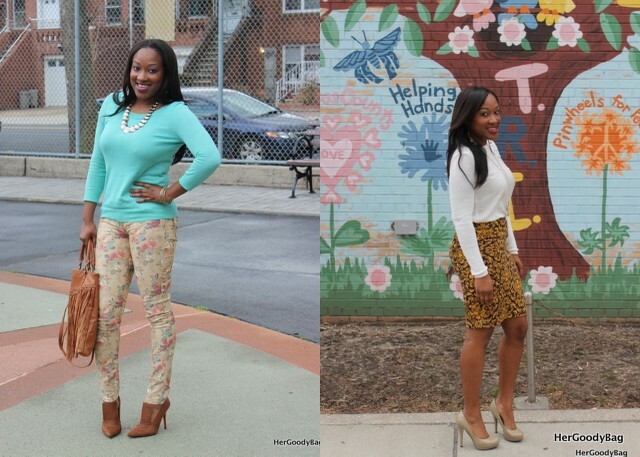 I have never really embraced prints as much as I did this year and I want to continue to embrace prints in 2014. I think next year I will try to mix prints (wish me luck). I have feminine looks and sporty looks. I didn’t stick to a basic style or uniform, I have textures (fringe bag, leather and pony hair shoes, crochet cardigans), prints (skirts, pants, shoes, tops, and dresses), and I have lots of bold colors! 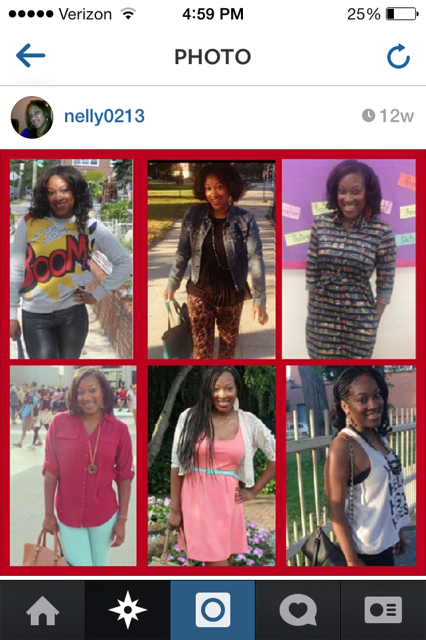 I was definitely loving my style this year and I continue to see how my style evolves as I evolve. January-Early March– my regular doobie wrap. My hair was about shoulder length. June-August– I went back to Keira (hair braider) and got waist-length box braids. I wanted them shorter but my hair had grown so much from the other protective styles I had to get them long. September-Now- I did my 2nd texlax in November. During the last 4 1/2 months I have been wearing my doobie wrap, clip-in extensions, or flexi-rod curls. I alternate between the doobie and flexi-rods the most. I only did the clip-ins for a short period of time. I trimmed my ends recently, but the last time I did a length check, I was probably a 1/2 an inch from APL/BSL (Armpit Length and Bra Strap Length). It depends on what you are using to measure. Well this is my review of my fashion and hair for 2013. Stay tuned for my 2014 goals! 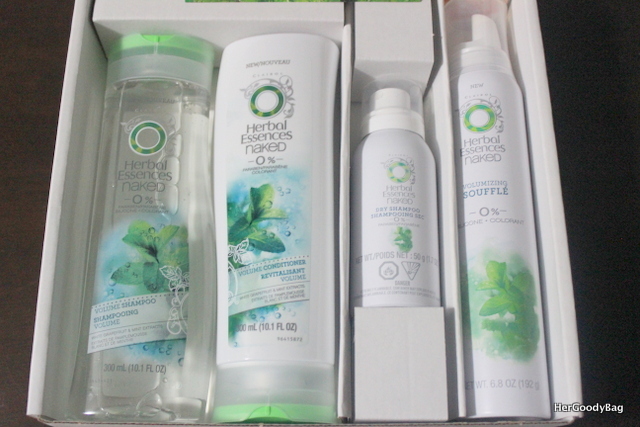 Hair Chronicles: NEW Herbal Essences NAKED Collection Volume Kit and a GIVEAWAY! Christmas and New Years Eve are right around the corner, so you know what we need…FABULOUS HAIR. Yes you know I am always switching up my hairstyle, but over the last few months I’ve been giving my hair a break from the braids and weaves. I am somewhat of a product junkie and I love trying new things, so I was excited when I was contacted to try out the new Herbal Essence Volume Kit. I just received my kit in the mail so I will have a review for you about these products in 2014 (omg that feels weird). Take a look at what you can expect from this new collection. It was super easy ordering the collection from Walmart. I went directly to this link here and placed my order on Sunday and was scheduled to receive my products on December 23, 2013. My order shipped Monday and was delivered on Tuesday! I did regular delivery as well so I was very pleased with the delivery process. – Kit includes Naked Volume Shampoo, Conditioner, Volumizing Soufflé, Flexible Hold Spritzer and Dry Shampoo. – Everything you need for irresistible volume! – Limited-edition kit, available while supplies last. 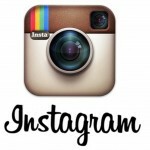 – Your chance to be the first to try Herbal Essences Naked! – Light weight shampoo provides a clean luscious bounce. – Conditioner keeps hair detangled, nourished, and maintains full volume. – How to use: Gently work mousse through wet hair for volume. I love when my hair has lots of volume. That’s one of the main reasons I am not bone straight relaxing my hair any longer. My hair used to be flat and dry a few days after a wash, but now that my hair is much thicker it holds the volume, so I cannot wait to see my results after I use this product. The products do not contain any parabens, heavy residues, or dyes, but they do contain sulfates. 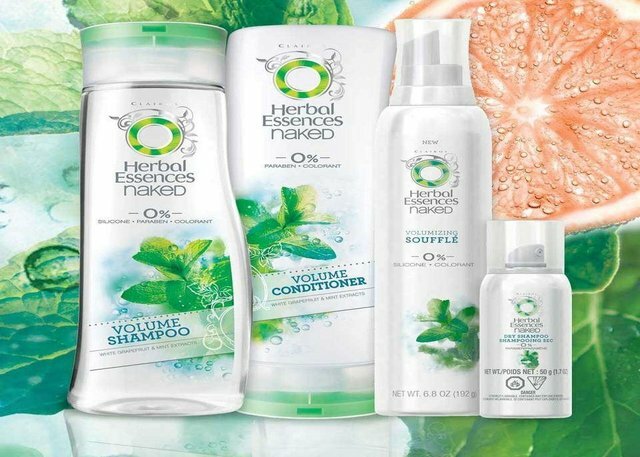 One luck reader has a chance to win a $50 to Walmart courtesy of Herbal Essences to purchase the new Naked Collection Volume Kit. Disclosure: The gift card for me to purchase the items was provided by Herbal Essences. The giveaway is sponsored by Herbal Essences. The product information in the post was provided by Herbal Essences. 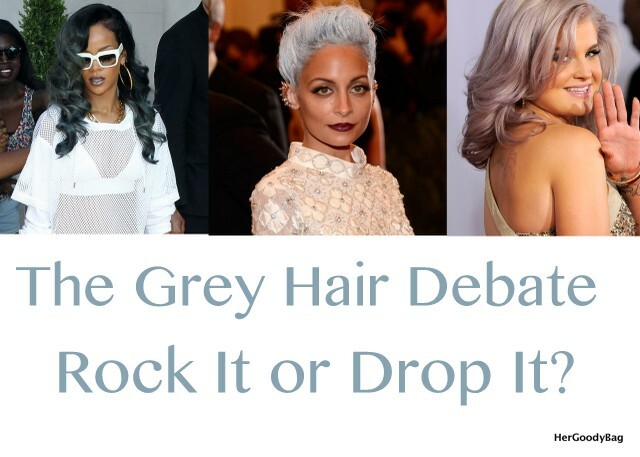 Hair Chronicles: The Grey Hair Trend Rock It or Drop It? 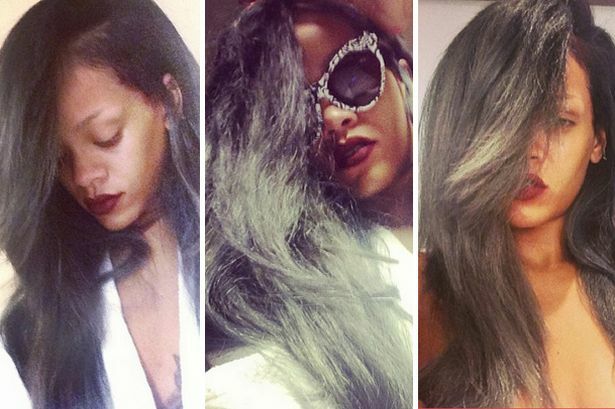 So I don’t know if I’m really out of touch with reality, but when did grey hair become a trend? I do know that Ty from Gorgeous in Grey has a full head of beautiful grey curls, but it’s natural. 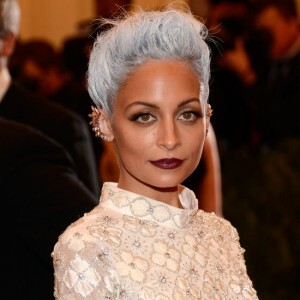 So since Rihanna, Kelly Osbourne, Lady GaGa and Nicole Richie have “gone grey” at different times now many women are running to their hair stylists wanting to take on this trend. Grey hair is a sign of wisdom and sometimes stress. Some women who have grey hair are doing everything they can to hide it and now we have women in their 20s doing everything they can to get it. So do we love it or hate? Should we just wait to go grey or rush the process? Rihanna changed her hair about 52 times this year, Beyonce is now rocking the poetic justice braids, so who is next in the hair chronicles saga? None other than Alicia Keys. She debuted her look via Instagram. 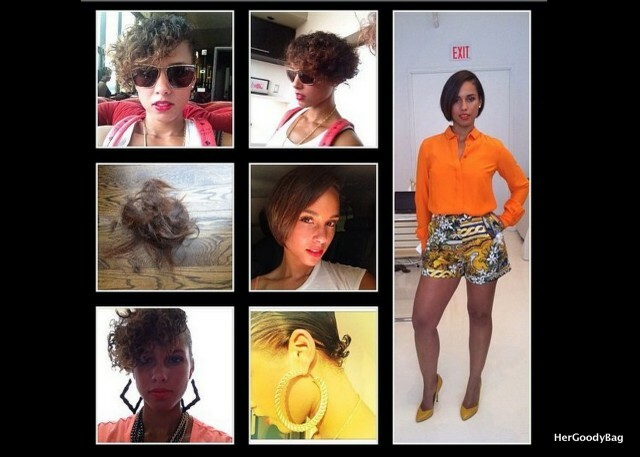 Alicia Keys has always had long luxurious hair that many women envied. I love this look on her! It is refreshing. It’s a little sassy, yet funky at the same time. Are you feeling her new look? *Sigh* They say you get what you pay for and that is exactly what happened at Danselly Beauty Center on Flatlands Ave between 104th and 105th streets in Brooklyn, New York. This had to be the worst experience that I have ever had at a beauty salon. I was forgotten about, mocked, pre-judged, and just basically insulted by a group of Dominican stylists who have no regard for their customers. I needed a quick wash-n-set, so I did not feel like driving all the way to Queens to my normal salon. I should have just sucked it up and drove because what I experienced was not worth the sacrifice. Here’s my review on Yelp. I am reporting them to Consumer Affairs also. No one should have to go through what I experienced. “I visited Danselly Beauty Center 2 times prior to my most recent visit. Both times I was satisfied enough to return a 3rd time. What made this experience so terrible was the way they treated me. I was forgotten about under the dryer for about 10-15 minutes. The “owner” said “Well why didn’t you say something?” I feel that was disrespectful. Also my conditioner was not washed out properly and I was left waiting 20-25 minutes to have my hair roller set after my initial wash. My hair began air drying and I became frustrated when the “stylists” were talking and taking customers who were done after me. They spent time blow drying and styling other customers hair while I was waiting with wet hair in an air conditioned room. When I expressed my concern I was told “she was almost done” I had no idea who “she” was because the salon was filled with women. 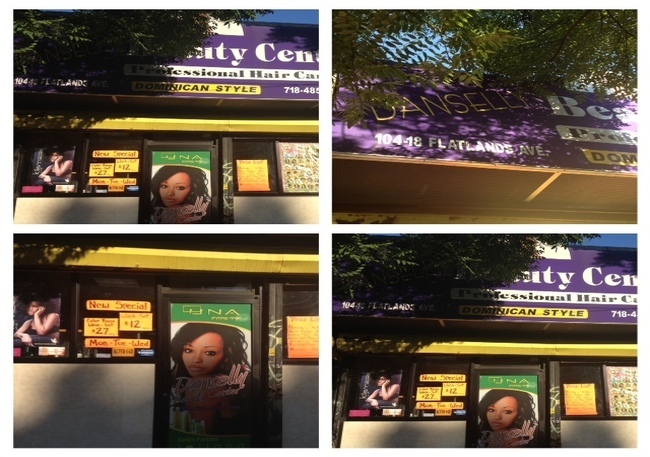 I was mistreated and harassed by the stylists, the owner and a patron who was supposedly a family member. After I was under the dryer for 25 minutes the stylist said I can come from under the dryer. My hair wasn’t anywhere near dry and I told her. After my hair finally dried and she asked what I wanted done I said to blow dry the roots. After she was done she gave me a receipt and the price was too high. I asked why it was so high, and she said because I had my roots blown. Nowhere in the salon did it state that it is extra to have your hair blown. I asked the “owner” about this and she proceeded to get nasty because of our earlier interaction. She said I should ask about services if I want to know something because she is not putting up flyers with all of the services all over her salon. She continued to blame me for not asking and then other stylists and workers all surrounded in what seemed like they were going to attack me. I wanted to walk out and not pay but I did pay. They said I always come in complaining and I replied if I always complain about something I don’t return or spend my money there. This other woman who claimed to be an owner as well proceeded to tell me I had an attitude based on my body language. Ummmm maybe I had a rough day at work? Did you ever think about that. I had a sore scalp from a previous hairstyle and I just wanted to be in and out. The salon wasn’t even crowded and it took forever for them to provide their services. Then a random woman, who was a family member of the owner who to precedence over the customers to get her hair done, started yelling at me. That’s when I left. They are not about making customers happy. They are only concerned with providing mediocre service and getting money. I would not recommend this salon, especially if you have been to other salons with better services, products, and management. They made it seem like it was about money, which it wasn’t, but it was about the principle of treating customers poorly. They may be used to a clientele without standards and accepts anything but I don’t operate that way. All of the prices of all services should be posted and the customer should never be blamed. This is the abridged version of the story. There was more dialogue, but this is the gist of it all. So please never go to this salon.